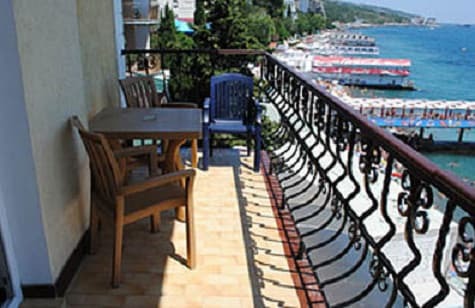 The apartments are located in a private sector above the Massandra beach in walking distance from the sea. Three-room apartment with two separate bedrooms, a living room, a kitchen, a bathroom. Three beds, from one bedroom there is an exit to an open balcony with summer furniture, from where a panoramic view of the sea opens. The kitchen is equipped with furniture, as well as necessary equipment (hood, electric stove, refrigerator, electric kettle, dishes). In the bathroom there is a washing machine, a shower cubicle. 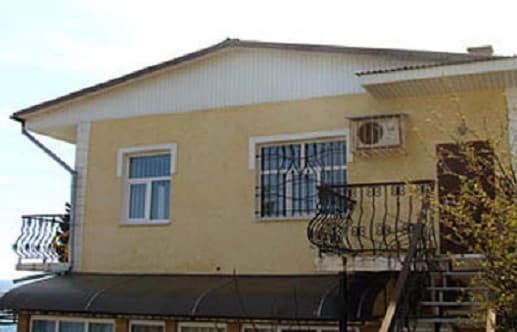 The apartments are equipped with air conditioning, there is internet access Wi-Fi. Uninterrupted water supply. 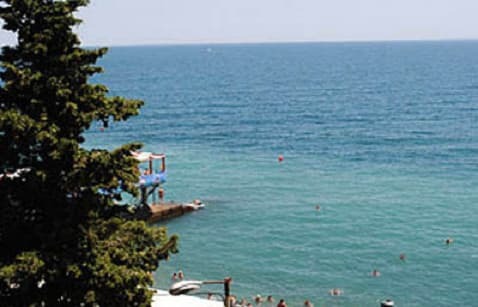 Near the house are: Massandra beach, Yalta embankment, cafes, restaurants, shops. The apartment can accommodate 6 people. The distance to the bus station in Yalta is 3.1 km, to Simferopol - 79.6 km. PRICES MAY CHANGE, IT IS REQUIRED TO RECEIVE INFORMATION FROM THE OPERATOR. 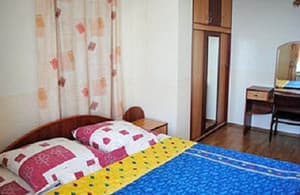 Description of the room: Apartment with two separate bedrooms, a living room, a kitchen, a bathroom. Three beds, from one bedroom there is an exit to the balcony. The kitchen is equipped with furniture, as well as necessary equipment (hood, electric stove, refrigerator, electric kettle, dishes). In the bathroom there is a washing machine, a shower cubicle. Accommodation 4-6 people. The apartments are located in a private sector above the Massandra beach in walking distance from the sea. 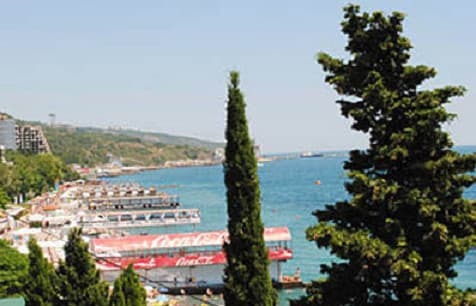 Near the house are: Massandra beach, Yalta embankment, cafes, restaurants, shops. The distance to the bus station in Yalta is 3.1 km, to Simferopol - 79.6 km.